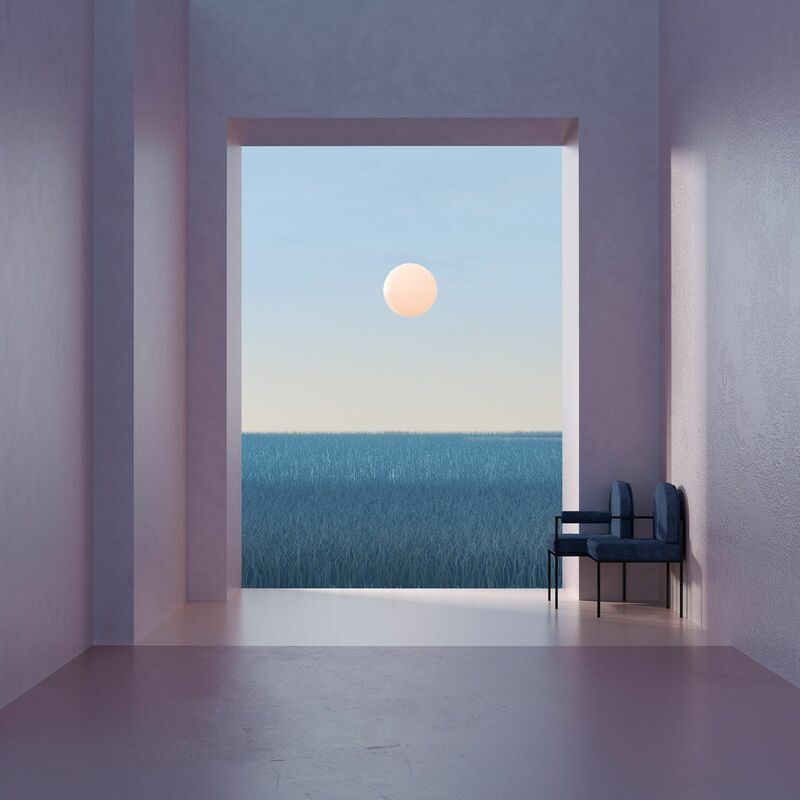 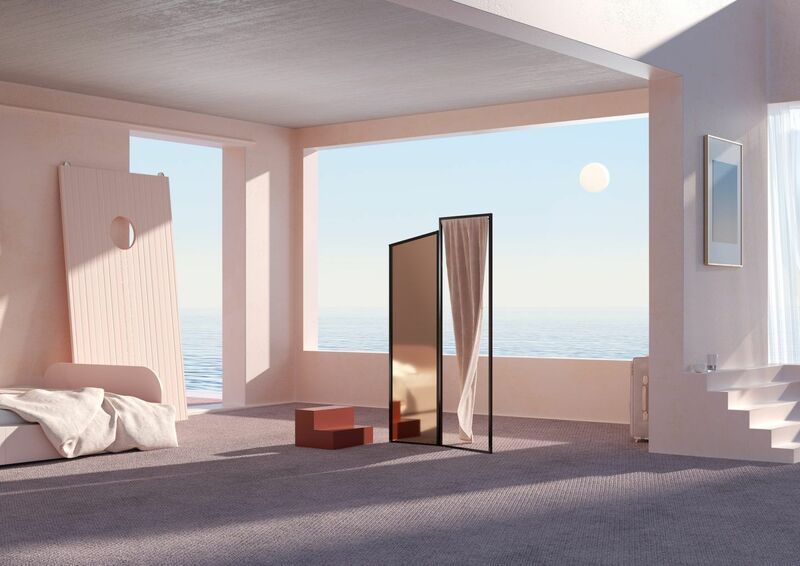 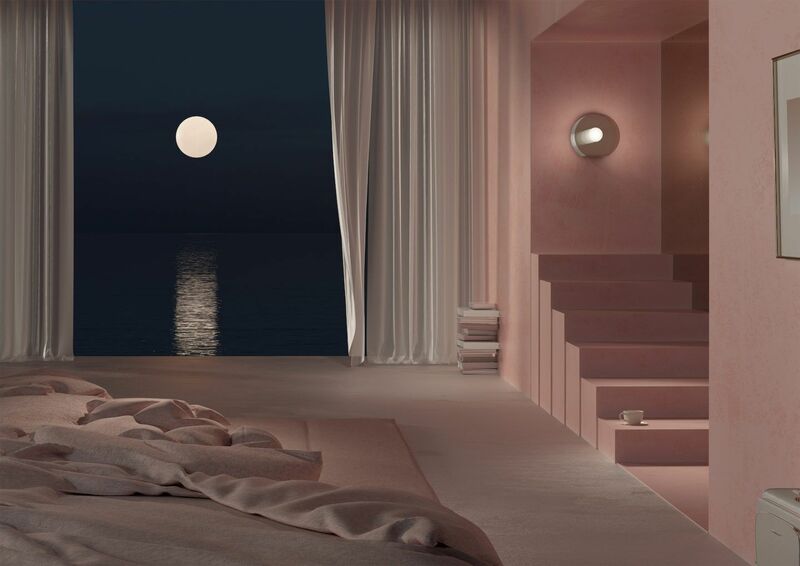 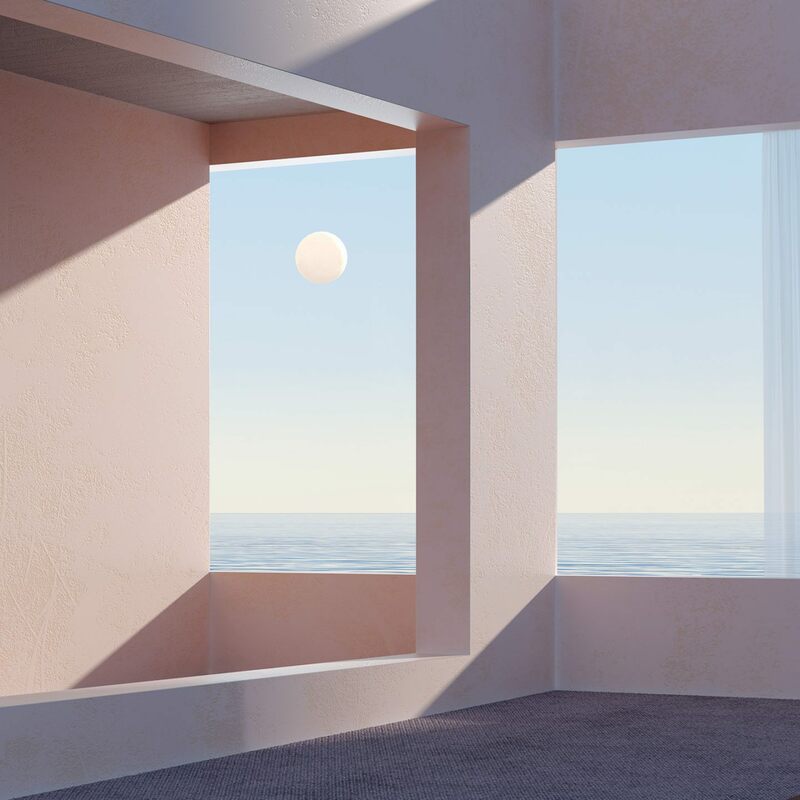 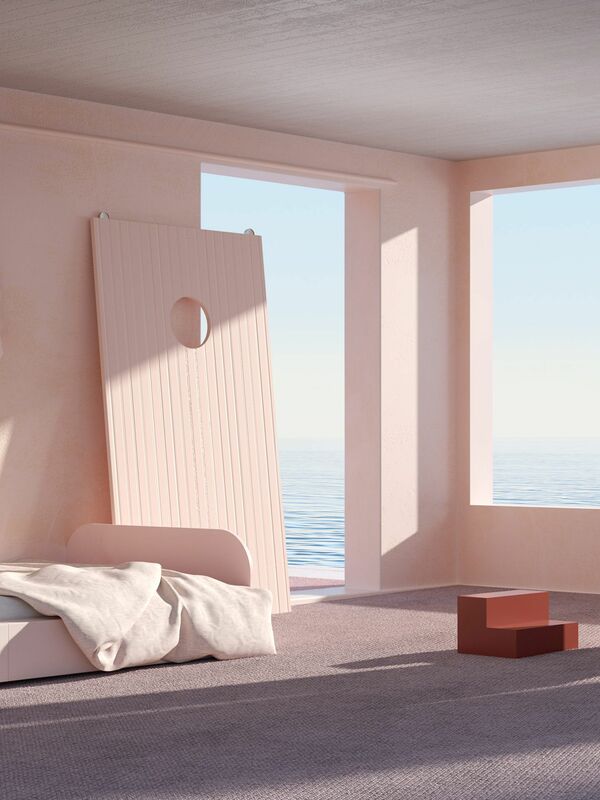 Barcelona-based design studio Six N. Five has created a series of hyper-realistic renderings of the interiors of an open-plan, seaside home for a furniture collection by Atelier Aveus, titled ‘The Wait’. 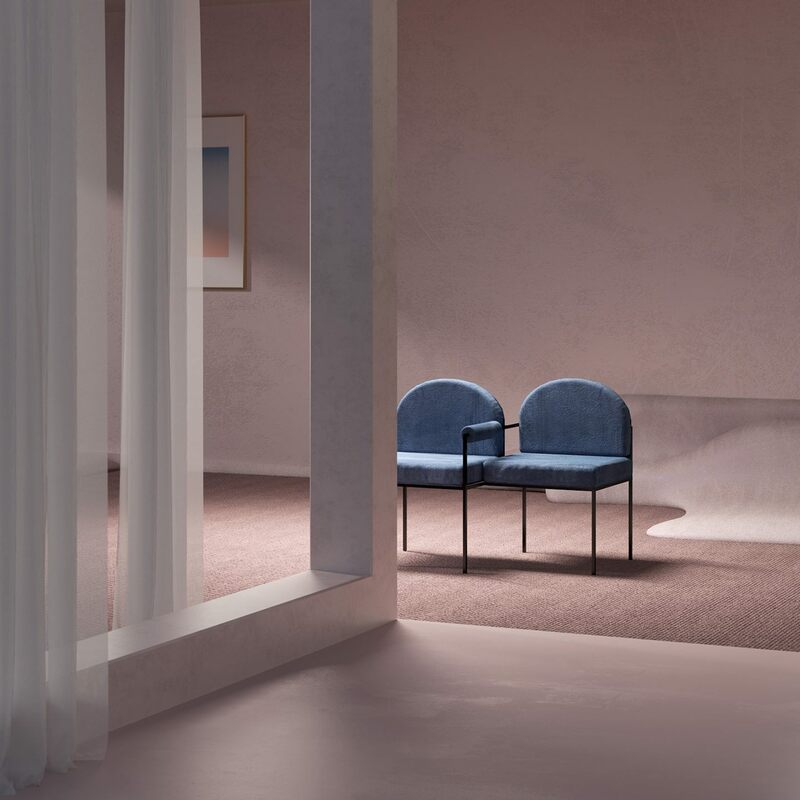 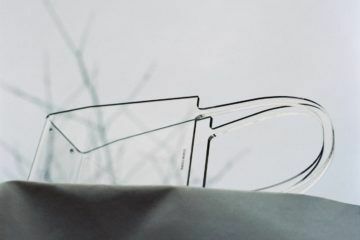 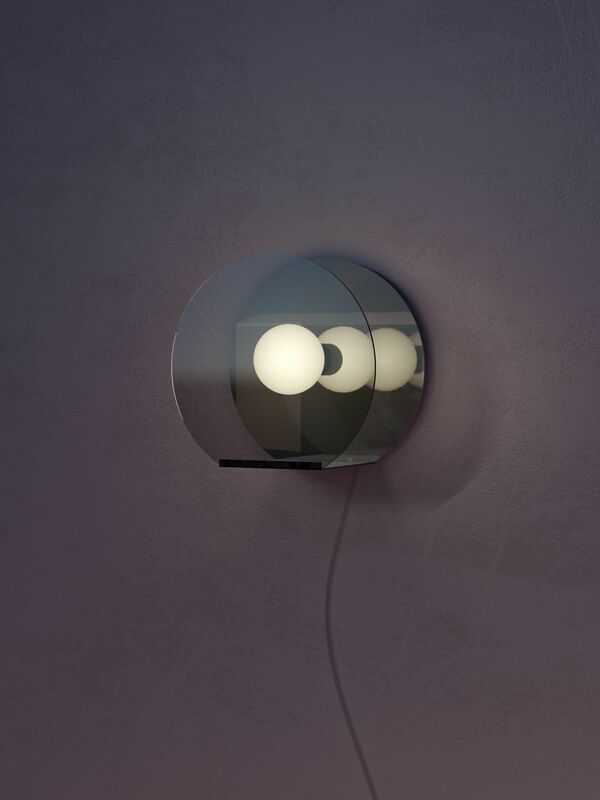 French architect and designer Morgane Roux designed the collection, which includes three pieces of furniture: a room divider, waiting sofa, and wall lamp. 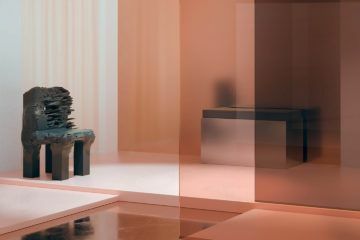 The pieces aim to philosophically represent feelings that are triggered by the home space, such as introspection and the distortion of time. 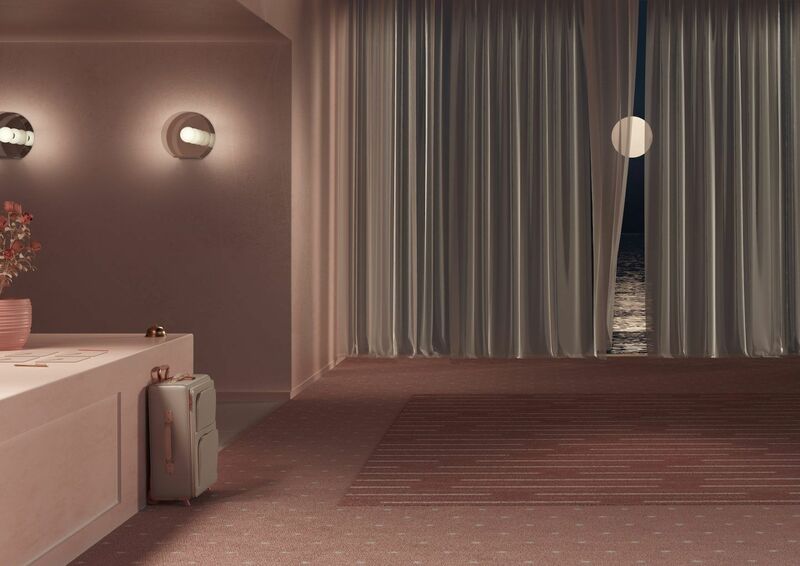 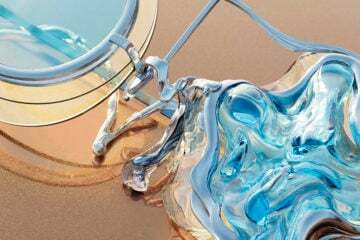 To accentuate these lonely emotions, Six N. Five were tasked to create digital renderings of narrative scenes. 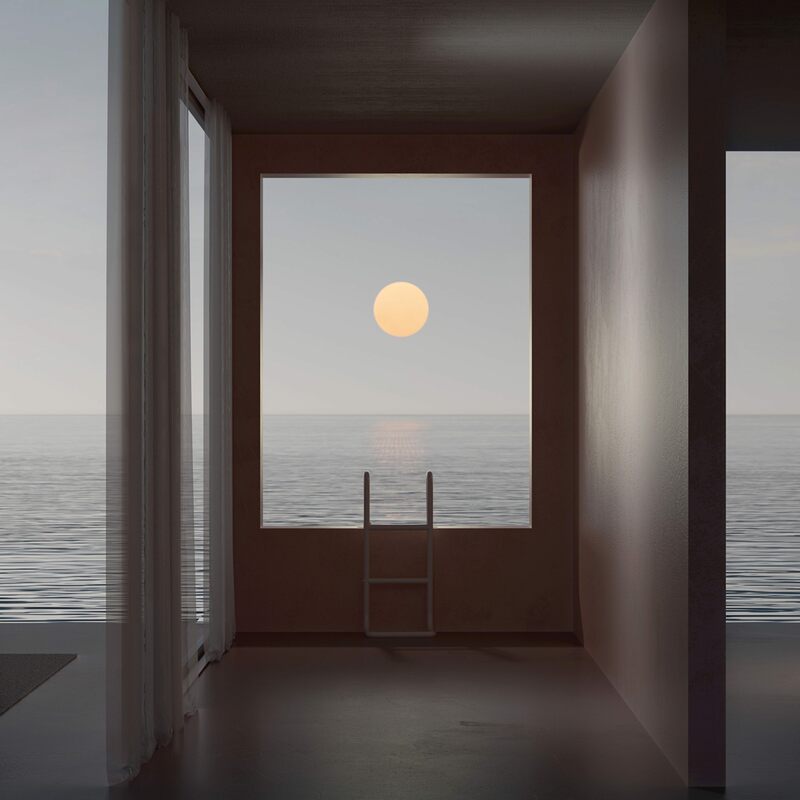 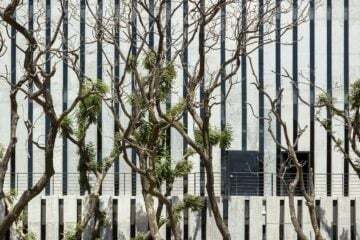 Each image is characterized by an omnipresent full moon, and whilst it’s assumed the space is occupied by at least one living resident, the reader can’t be too sure. 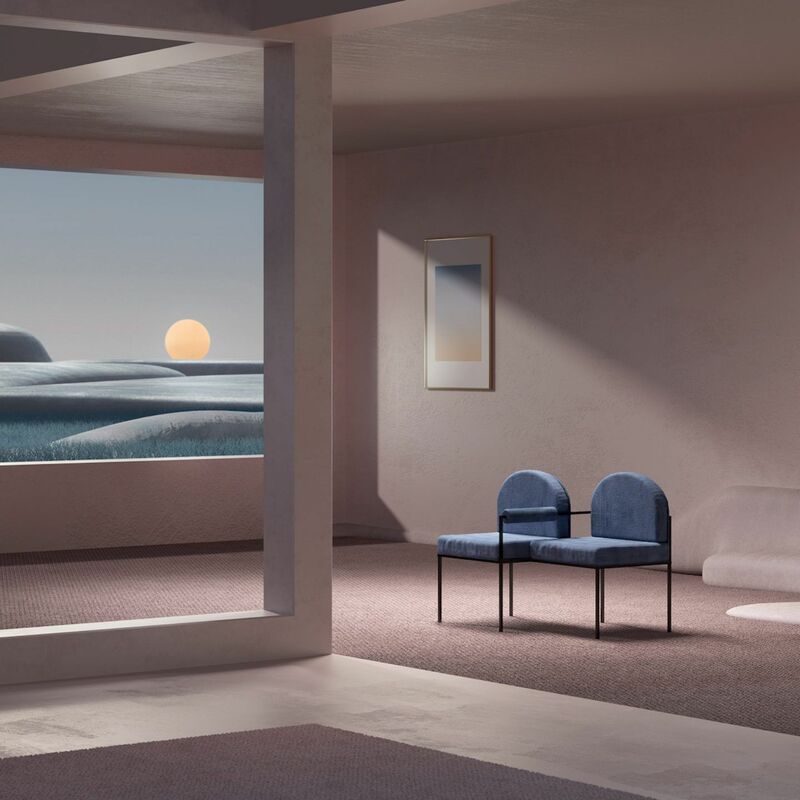 “The whole set together displays an uncanny scene offering a kind of alienated poetry”, explains Roux. 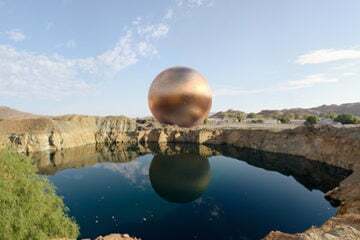 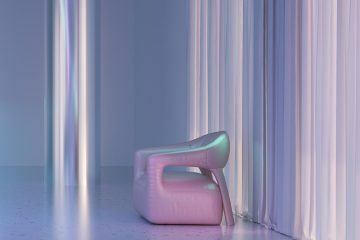 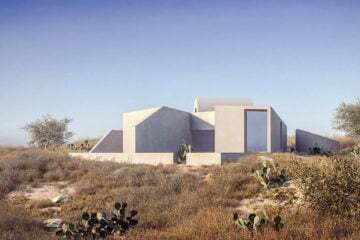 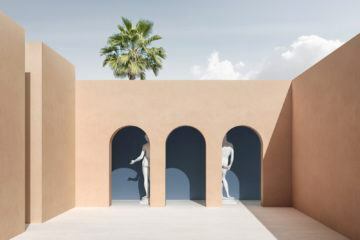 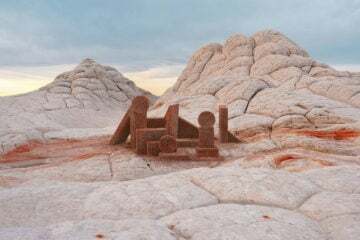 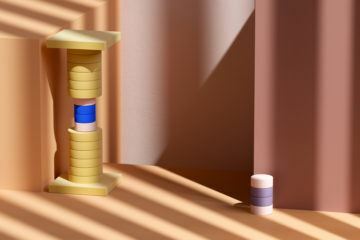 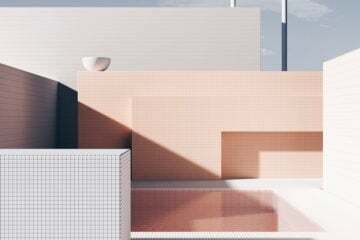 The renderings use symbolic objects and pastel colors, which according to Six N Five, together represent “Emotional sanctuaries for those who have failed to find their home in the ordinary world, waiting for something to happen”.